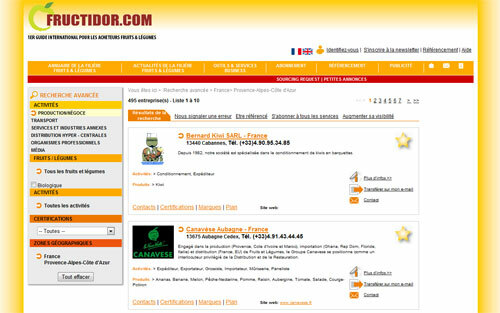 fructidor.com, the expert partner for your company's growth. 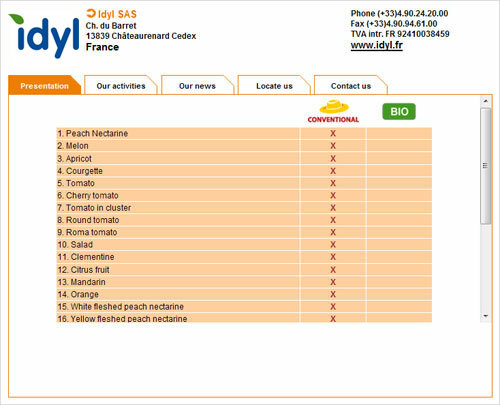 Since 1935, the directory Fructidor International has listed the main operators in the fresh fruit and vegetable sector, more than 20 000 addresses in 138 countries. Your queries answered in a few clicks. You can find all necessary information about your partners and suppliers. Personal assistance is at hand if you cannot find the desired results..
Sign up for free to our database. You can register your business by creating an account with your full contact details, information about your business, the fruit and vegetable that you market, and the brands you distribute. Promote your business with Gold Profile. Your listing is prioritised for partners and potential customers during their research. All your contact details are listed and visible to website users. Subscribe to the entire database and connect with fellow professionals. Looking for new products, new partners and great deals ? You can access all information in the sector, post classified ads, send and reply to Purchase Offers by subscribing to our services.